The Internet is now the way to get information. In the US, over 209 million people, 69% of the total population, are online. One hundred and forty seven million people use email daily. Major advertising campaigns now include big investments in websites and email campaigns. 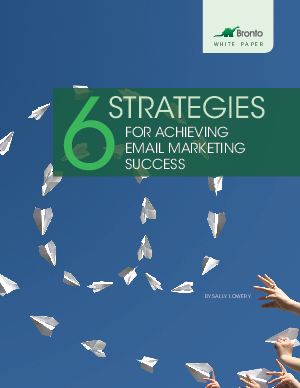 Email marketing has grown in popularity because it produces results. While in the late 90’s and into 2000, email marketing was new. The accessibility of email now means that marketers must work hard to cut through the clutter. In the past, permission was a “nice to have.” Now permission is a “must have.” Ultimately, a company must put more thought into email communications – from goals and objectives to long-term vision. Whether you are new to email marketing or a seasoned professional, a strategy and a roadmap prove critical for email marketing. This document was created with the intention of saving you time by pointing out the main elements of a good email marketing strategy and letting you customize them to meet the needs of your company. Armed with this information, you should be able to provide management, partners and peers with solid reasons why your organization should include email marketing as a way to reach business objectives or enhance your current running email marketing campaign.